Bar Crusher’s Bar Flap™ increases the versatility of the company’s exclusive Quickflow™ water ballast system. 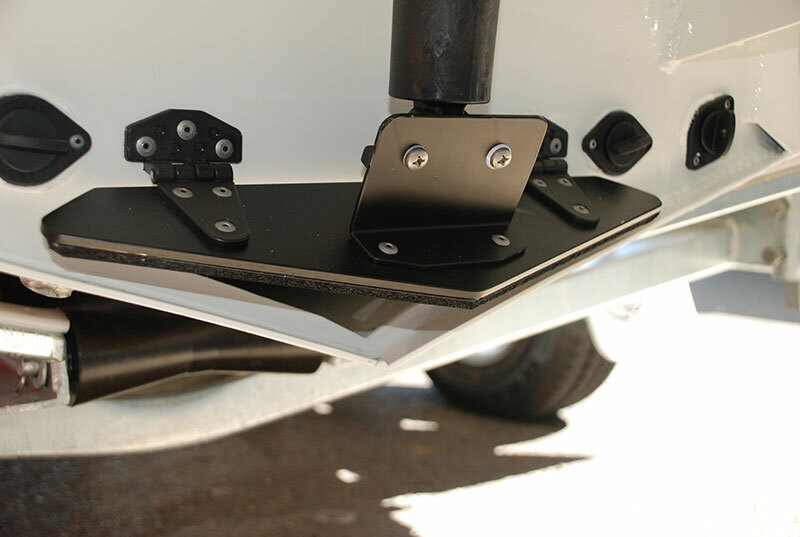 Used in conjunction with Quickflow, Bar Flap has been designed to hold-in water to give the boat more weight, as well as to stop water from entering the water ballast cavity so the boat will have less draft. Bar Crusher director Peter Cleland said Bar Flap was available as an option on all water-ballasted hulls. “Quickflow is one of the innovative design features that defined Bar Crusher from the beginning… a cavity that runs the length of the keel fills with water when the boat is stationary, lowering the chines into the water for greater stability, then quickly drains as the boat moves forward to allow it to leap onto the plane,” Mr Cleland said. If fishing very shallow water, keeping the Bar Flap closed would prevent the water ballast cavity from flooding, allowing the boat to float a little higher in the water. In heavy seas, allowing the cavity to take on some water and then closing the Bar Flap would prevent the ballast from being jettisoned as the boat moves forward, providing extra hull weight. Customers are encouraged to speak with their local Bar Crusher dealer to decide if this feature is suited to their specific applications.